Love One Another . . . I have read those words thousands of times, but they took on new meaning as I sat in the home of a small woman in Nairobi, Kenya. The home had no electricity, running water, heat or air conditioning. Honestly, most of the items in the home could be found on the curb in trash piles in America. The woman was HIV positive; her husband had left her, and she was raising four kids alone. But, this same home had joy, peace . . . she had a smile that was infectious. This small woman touched my soul with her joy. God made each one of us to need another. CARE for AIDS provides an opportunity for each one of us to love another on the other side of the planet. CARE for AIDS exists to mobilize the church in caring, both physically and spiritually, for families affected by HIV/AIDS in Kenya. We think differently about the orphan crisis- by intervening in the lives of HIV+ parents, we enable them to live long enough to raise and educate their children and even see their grandchildren. We call it orphan prevention. This year held many milestones for our team, and we want to celebrate by taking a look at the history and growth of the ministry from its birth. You can experience the CARE for AIDS story below from the very beginning. 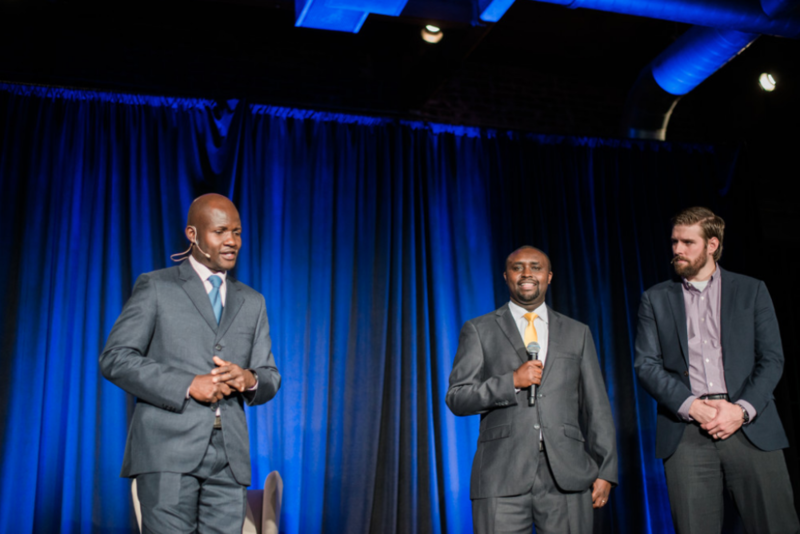 This year we saw unprecedented growth both in the U.S. and in Kenya. We were able to successfully expand our work into Mombasa and open eight new centers throughout our three regions. Below is a snapshot of where we are today. Lovius and her four siblings live in Kangemi with their mom, Norah. Norah was diagnosed with HIV in 2008, and as a single mother, she feared for the future of her five children. 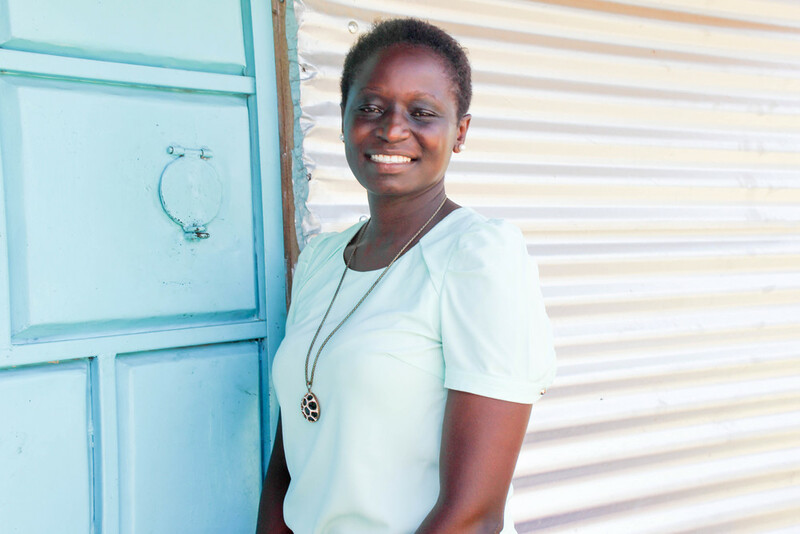 As her health deteriorated over the years, Norah sought out help and was introduced to the CARE for AIDS program at Full Gospel Church in the Kangemi community. Over the course of the nine-month program, Norah learned how to manage her disease. She now uses the skills she learned through the economic empowerment seminars in the program to earn enough money to send Lovius and her siblings to school. 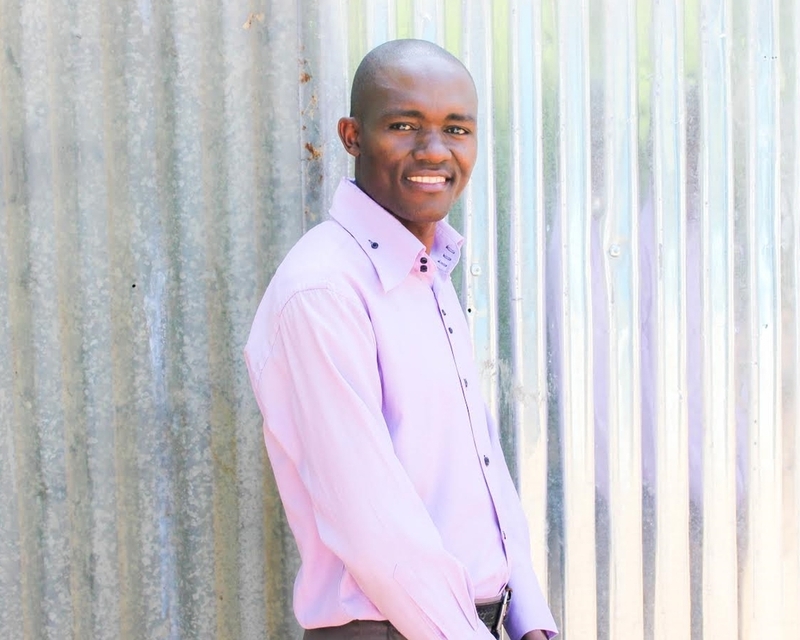 Lovius is finishing primary school but already has plans for college. Thanks to her thriving, healthy mom, she is able to dream of the future with no fear of being orphaned because of HIV/AIDS. Lovius is one of over 20,000 children whose parents have gone through the CARE for AIDS program. In March of 2015, the CARE for AIDS center in Sinai graduated the 5,000th client from the program. This was a remarkable milestone for the ministry. While 5,000 was an exciting number, we were even more excited about the fact that those clients represented over 18,000 dependent children who are no longer at risk of being orphaned by the HIV/AIDS crisis. In 2015, we opened and launched eight new centers - three in Nairobi, one in Kisumu, and four in Mombasa. The life of each center, of course, comes from the dedicated and incredibly passionate staff members. We are proud to have 80 men and women working in Kenya to empower families affected by HIV/AIDS in their communities. Meet the new members of our team below. Learn more about our expansion to Mombasa here. At CARE for AIDS we rely on our incredible supporters to help move our work forward. One of them, Michelle Slatton, mobilized her community to help support hundreds of clients. We sat down with her to ask how she got her community in Ohio engaged and about her plans for the future. I heard about CARE for AIDS through my children, who attended Vanderbilt University with Justin Miller. The ministry was in its infancy at that point, and the concept intrigued me. I could see that the work they were doing with HIV+ clients would have a direct impact on the whole family unit, not just the individual. By saving the life of a parent, children were going to be raised in intact homes and not become one of the huge number of orphans in the world. It was hard to resist becoming involved. I had many conversations with Justin about CARE for AIDS, which led me to volunteering and eventually to becoming a Board Member. In your mind, what sets CARE for AIDS apart from other organizations? CARE for AIDS is unique in its mission and execution. I am consistently impressed with how they manage to reach out to the marginalized efficiently and with incredible grace and compassion. There is intentionality and excellence in all they do that one would expect from an organization twice its age. From day one there has not been a presentation, a brochure or a plan that has not been of the highest quality. The work is accomplished for a minimal amount of money per client ($300) and has far reaching impact. How long have you lived in Cleveland, and how did you first start telling the community about CARE for AIDS? My husband and I moved to Cleveland seven years ago, and I began to share the CARE for AIDS story with my church and community a year after we moved. A CARE for AIDS staff member came to Cleveland and met with our church and spoke at a small gathering of my friends. A few couples engaged with the ministry at that event who then became the foundation of what we now call the “Cleveland Team," a group that donates and fundraises to support a center in Nairobi. Six months later, Duncan and Cornel came for their first visit to Cleveland and we had a larger event. Over the last six years, we have worked slowly and steadily to build awareness about CARE for AIDS throughout the community. Tell us briefly about your first trip to Kenya with CARE for AIDS. I went to Kenya on an Impact trip in September 2012 with eleven others. After experiencing the ministry firsthand by meeting clients in their homes, attending church, counseling sessions and a graduation, we looked at one another and said "How can we not fund a center?" On safari, conversation turned to fundraising ideas. We divided the cost to run a center between the twelve of us and agreed to fundraise to make up whatever shortfall there was. We became a tight group, bound together by a shared experience and a strong desire to engage with the mission of CARE for AIDS. See an interview with Phil and Jill Battershell after their recent return from Kenya below. Another group from your community went on a trip in 2015- what have they told you about their experience? The group that went in September had some very unique experiences. One of the women, Laurie, was visiting a client, Florence, in her home when the client went into labor. Laurie sat with the client until she left for the hospital, and Florence ended up naming her baby after Laurie! Another woman shared her story with a group of clients; as she finished, one client came forward and shared that she was going through the same situation. Each of the people in the group experienced some personal connection with a client while on the trip and it has been so impactful for each of them. This has been a huge year for your community-tell us about all of the events and exciting partnerships you have seen happen in 2015. I could never have anticipated what happened here in Cleveland during the fall of 2015. We had a group go on an Impact trip in September and we had our annual fundraiser in October. Our fundraiser was incredibly successful, beyond anything we had imagined. The church, after committing to support a center, also decided to do a month long mission focus on CARE for AIDS during November. We showed CARE for AIDS videos each Sunday at the worship services. The focus culminated with a food packing event where 300 people- ages 6 months to 80 years- packed 50,000 meals to be shipped to Kenya! I have never seen a group of people have so much fun with rice and lentils. We took an offering to cover the cost of shipping the food and received the amount we needed almost to the dollar. The “Cleveland Team” has been small and mighty but after this fall we are not small anymore, and we are now supporting 2.5 centers! You have done a number of events in your community to raise awareness and support for CARE for AIDS— tell us about your favorite one. My favorite event that we have done for CARE for AIDS in Cleveland was our first fundraiser after we committed to support a center. We knew we did not have enough people to pull off a big fancy gala and no one here really knew about CARE for AIDS, so we needed a low key, simple event that would engage the community. We invited people not to come to an event. We delivered small brown bags filled with rice and beans to peoples’ homes. In addition to the rice and beans was a request for a $25 donation, cooking instructions, and an explanation about CARE for AIDS. Justin, Duncan and Cornel came to Cleveland to help deliver the bags on a very rainy Saturday. People were not expecting us at their doors and their reactions were priceless! We delivered over 80 bags and raised much more than we expected by having our “non-event”. It was encouraging that so many of our friends wanted to know more about CARE for AIDS. Most of the donors from that event are still supporting our centers today. What do you see for the future of Cleveland and CARE for AIDS? The Cleveland Team has now reached the point where the responsibility for fundraising does not rest on the shoulders of a small group. It is time to look at strategies to build on the current interest and excitement about CARE for AIDS so we can create an even stronger giving base. We are also in the process of putting together a team to travel to Kenya in June! 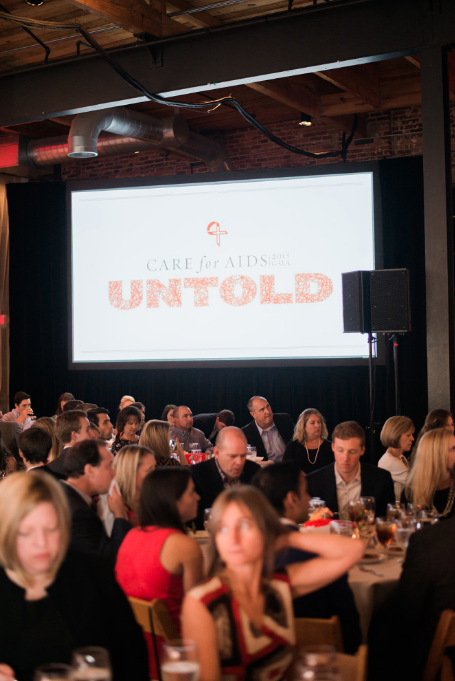 On October 16, 2015 we hosted our 5th Annual CARE for AIDS Gala. We were joined by over 300 guests, and some special visitors from the African Children’s Choir performed at the end of the evening. Thanks to the incredible generosity of those in attendance, we raised $372,943 to continue expanding our operations across Kenya and East Africa. We are so thankful to all who were in attendance. This year, in place of our annual gala, we are hosting an event to pack nutritious meals for our clients in Kenya. Volunteers ages 3 and up are invited to help. Please mark your calendars and be on the lookout for details on time and location. In 2015 we received ECFA accreditation. Click to learn more. Cliff Robinson- CHAIRMAN- Vice President, Field Operations, Chick-fil-A, Inc.